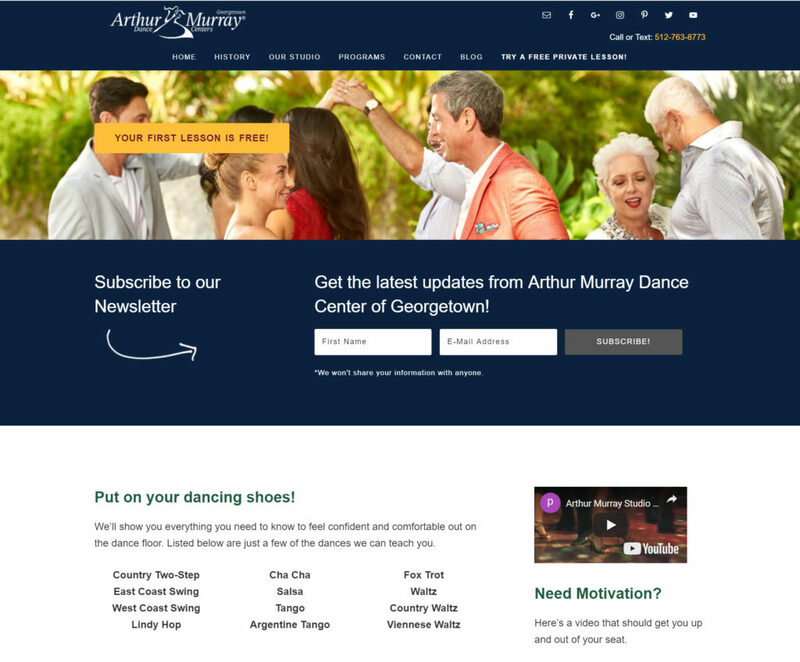 Recently we launched a new, mobile responsive website for Arthur Murray Dance Center of Georgetown. They wanted an updated website that would allow people to learn more about what types of dance classes they offer and to be able to sign up online for a free initial class. Their new site is built using the Ambition theme from Appfinite built on the Genesis Framework from Studio Press. It’s mobile-responsive and it includes the seven things every small business website needs today. Did I mention that it looks great even on small mobile devices? Check out the new Arthur Murray Dance Center of Georgetown website here.